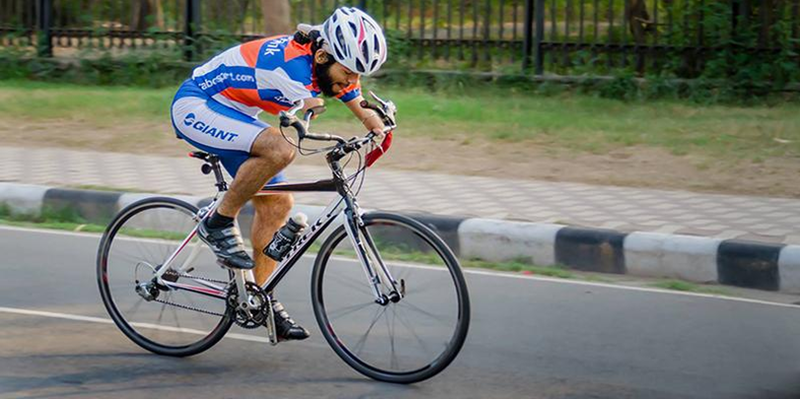 While everybody is talking about the Rio Olympics, Jagwinder Singh also known as Super Singh is silently following his dream to participate in the Asian Para-Cycling Championship 2017. He is passionate about cycling but participating in such a big event can't be possible if you don't have a quality bicycle. This man from Patran, a small village near Patiala in India needs your help in generating funds for transforming his childhood dream to become a champion of the world. His passion for cycling is recognised by many but still he isn't funded well. No one ever thought that this man without hands will be able to cycle 25 km daily. Maybe, he is born to rule the track. He developed an immediate liking for cycling when he saw his sister cycling in front of him during his childhood and the rest is history. Supporting him to represent our country gives me immense pride and I hope others will also help him to get his wings back. Jagwinder Singh is a gold medal winner at 25 KM Para-boys Challenge, a State Cycling Championship but he lives a dream of participating in the Paralympic Games. Let's make Super Singh's dream of winning the Asian Para-Cycling Championship 2017 real by helping him buy the new customised bicycle. Let's help him to get training on time. The bicycle will cost him USD 6690 (INR 450,000) and with our support, he will not just cycle but fly in the forthcoming games. Thank you Sunaina. Yes, he is a superhuman.